Is your passport packed and your e-Tourist Visa printed and are you ready to begin your exciting trip to India? Before arriving in Incredible India it is important to learn about issues that will impact your stay there such as tipping. Tipping is something Europeans and North Americans are accustomed to, but how is tipping done in India? What kind of tipping is normal and expected from tourists? We have prepared a brief guide to help you with this issue and to ensure that your trip is as enjoyable as possible. Remember to apply for your Indian Visa online 4 days prior to your trip. 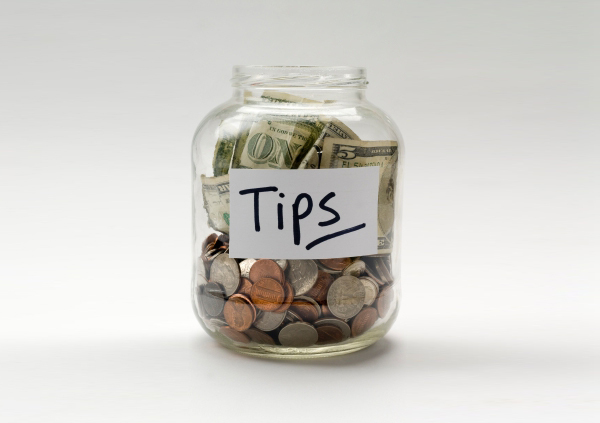 The standard expected tip in most restaurants is 10%. In upscale restaurants the service charge or tip is usually included but if it’s not then you can leave a tip slightly smaller than 10%. Tuk-tuks or taxi drivers usually don’t expect a tip so it’s not necessary to give one. For ariport transfers a tip of US $2 or $3 is fine. Staff in hotels such as bellboys should get a tip of about US $1 per bag. So if you are traveling with 5 bags you should give them $5. Other staff such as the concierge or the porters should receive a tip based on the service provided such as calling a taxi or arranging dining reservations. Some hotel chains such as the Oberoi group do not allow their employees to accept personal tips, they keep a box where guests are able to provide tips if they are satisfied with the service they received. A guide that provides a city tour that lasts a couple of hours should receive a tip in the vicinity of US $5 or US $10 if the service was exemplary. Tipping in India is something that will be expected of tourists but by using the guide we have developed you will avoid over-tipping or under-tipping. Keep in mind that a even a US $1 tip is very valuable for someone like a hotel bell boy so please remember this when you are there.